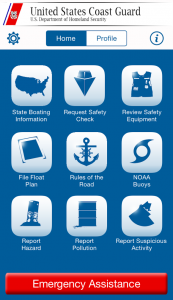 The Recreational Boating Product Assurance Branch is part of the U.S. Coast Guard's Boating Safety Division, and is responsible for developing and enforcing Federal safety standards, investigating consumer complaints, interpreting Federal standards, and much more. Inspecting and testing recreational boats for compliance. Investigating consumer complaints involving alleged safety defects and non-compliance with Federal standards. Issuing recalls of recreational boats and associated equipment. Encouraging development of voluntary safety standards for recreational boats by international and national standards organizations. Handling requests for exemptions to Federal standards. Assigning Manufacturer Identification Codes (MICs) to boat manufacturers. Publishing the Boating Safety Circular newsletter.